What makes a great video? Is there a definition? Well, a great video is not something your audience just sees. It is something that the viewers experience altogether. 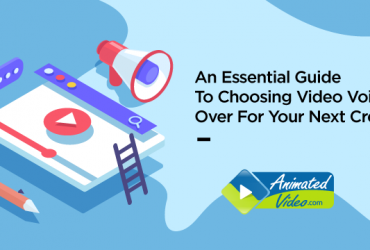 The topic, the content, the script, the storyboard, the characters – everything work in perfect harmony to embellish the video. But by now, I hope you are already aware that a video is inadequate without legit background music. Royalty free music sites can be of great help, without you costing an arm and a leg. Since the ages, humans are drawn to music that soothes their mind and tantalizes the senses. The same theory gets applied to marketers and video creators. 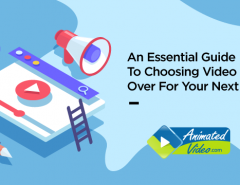 There are multiple aspects of a video that contribute to its success. 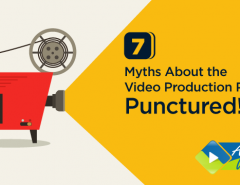 Background music is the key ingredient, or you can say the primary catalyst that spices up video contents. It creates an emotional connection with the audience that connects them. And the more they connect, the deeper their relationship gets built with your brand. Which is exactly what you aim for. Be it an animated video, or a live-action piece, or a video game, without engaging background music your message can never be conveyed wholeheartedly. But how do you find a musical piece that supports your video and spices it up? It is extremely fancy to hire a music composer for each of your content. The fees for a composer is double than your costing for the whole video. So that option is a no-no when you are into regular video production. The next thing is downloading tracks from music sites. But what about the copyright? You don’t want to violate the copyright rules either. So the best option that remains is royalty-free stock music. Thankfully, there are sites that offer high quality background tracks, instrumental sounds, foley sounds, loops, and much more. Whether you want a Bach or Beethoven, or just a contemporary country music piece, these royalty free music sites are there for you. So unless you want to undergo the hassle of composing music on your own, or paying megabucks to an overly priced music composer, this article gives you the best resource for free stock music. AudioJungle is the most preferred professional site for background scores and other instrumental music. There are ample options ranging from pop music to heavy metal beats, from vocal pieces to loop tracks. Someone in search for best royalty free songs can give AudioJungle a must try. A wide range of music kits and sound effects are there in the collection. And all of these come royalty free! No copyright hassle, no struggle to compose a music by own, and no burning a hole in your pocket. Apart from background music and sound effects, AudioJungle also has a bunch of freebies that include royalty free stock photos, footage, 3D assets, and much more. 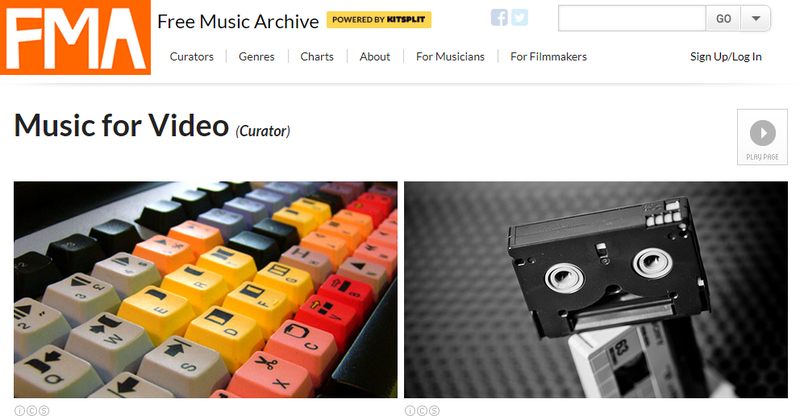 In short, this free music library is the best thing a video creator can think of. YouTube has been an integral part of our video marketing strategy. Given that 1.9 billion users visit YouTube every month and watch a billion hours of video. Hence, it is vital for marketers to tap into this video streaming giant. And thus, YouTube royalty free music is in demand. 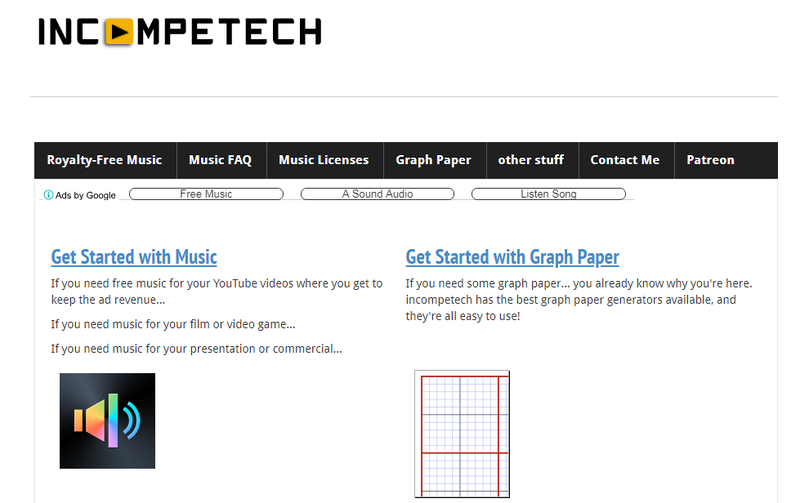 Incompetech happens to be a well-known music site that gives tons of peppy tracks that can be filtered by tempo, genre and duration. Marketers, are you listening? When was the last time you watched a silent movie? Never, I guess? The reason being, without proper music and sound effects, no engagement is induced within the onlookers, especially today. Choosing a proper background score is imperative to convey your intended message to your target audience. Deemed as the world’s most abundant resource for royalty-free stock assets, Pond5 is the ideal website for background scores ranging between various genres. It sports over 500,000 best royalty-free songs and music! The whopping figure is enough to amaze any online video creator. One must choose between different categories and styles to evoke a string of emotions in the viewers. Free Music Archive is a rich source for no copyright music for free download. There are choices varying from blues, jazz, country pop, metal, soft pop, and much more. This interactive library is one of the top royalty free music sites available for download. Now dial-up your audience’ mood and perception with engaging music and tracks. If you are searching for peppy and upbeat tunes and background music for your masterpiece, there’s nothing better than SoundStripe. This royalty free music library has a great deal to offer whoever is looking for a subscription site with unlimited licenses. This website provides the best music solutions to video creators and takes pride in having Amazon and Microsoft in their clientele. The collection is top-notch and caters to different moods and emotions. The interface is simple and easy to use, and all these facets make SoundStripe one of the best resources for free music tracks. Make your video content more watchable and shareable with thematic background music from Bensound. Founded by a music artist based out of London, this website is opulent with best royalty-free songs and sound effects. Be it ad jingles or original songs, Bensound has it all covered. One may buy a license and get some high quality music files. A real gem that’s been hiding all along, PremiumBeat is powered by Shutterstock, the stock photo resource giant. This site has plenty of choice for royalty free music for YouTube videos or other purposes. Constantly updated and improved, this site has an extremely user-friendly interface while scouring royalty free music for videos. PremiumBeat gives you value for your money and offers quality tracks. Searching for tracks that evoke emotion and add refinement to your video, eats up time that could be invested somewhere else. But Productiontrax has a dedicated mood board where you can share the mood you want to cater to. They offer full human support instead of generic bots that find the perfect match for you. Apart from high quality royalty-free background music, this site also has a sound mixing and editing software. If you want to mix two tracks or flesh out your existing track, try Productiontrax. YouTube Audio Library deserves a special mention in our list of best royalty free music sites. The online video streaming giant also has an extensive collection of free music that is accessible to all. Using copyrighted music track in your videos can result in YouTube blocking your ID or Google penalizing you for violating copyright. The vast audio library of YouTube can be your solution. This YouTube free music library gives you five filters to choose from, viz, GENRE, INSTRUMENT, MOOD, ATTRIBUTION, and DURATION. The quality and range of the tracks are brilliant given YouTube’s high set bar. Super easy to use, and the best choice for an explainer video creator or a novice YouTuber. This online site is still unexplored and yet to be baptized in the mainstream. But Music Vine can be deemed as the ultimate source for quality music featuring real instrument and real emotion. However, currently the number of tracks is limited to somewhere around 2000, but let not that put you off. 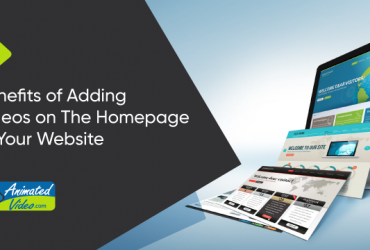 Because this site is all set to boom big. With simple and easy navigation, well thought out interface and tracks classified into different categories, Music Vine is the first choice for any marketer producing content-rich videos. Ahoy there! Since you have made it to the end, we have got a bonus for you. And that’s Freeplay Music. Another YouTube goody, Freeplay Music has a vast collection of free stock tracks that are updated on a regular basis. Just select the track and specify the license type. The site also has a section that contains recently released songs. The tracks available in the site can be used in classrooms for educational purpose. For personal use, it is all free. Only for commercial purpose, the license has to be bought. So that’s all folks! Music is the best element that complements a visual content, or more precisely, a video. You don’t have to use an entire band for your video content to lighten up the mood. Just a subtle touch of a befitting background music is enough to do the magic. Be it a product demonstration or an explainer video; music is a must-have. It is a composure for the audience who have come to treat their eyes on your creation. Several stock music sites are popping up every day. Digging into the right music library for royalty free music is onerous. We hope this list could at least guide you and save you time finding audio tracks for your next video project. If you have any more names in your mind, feel free to shell out in the comments section below. 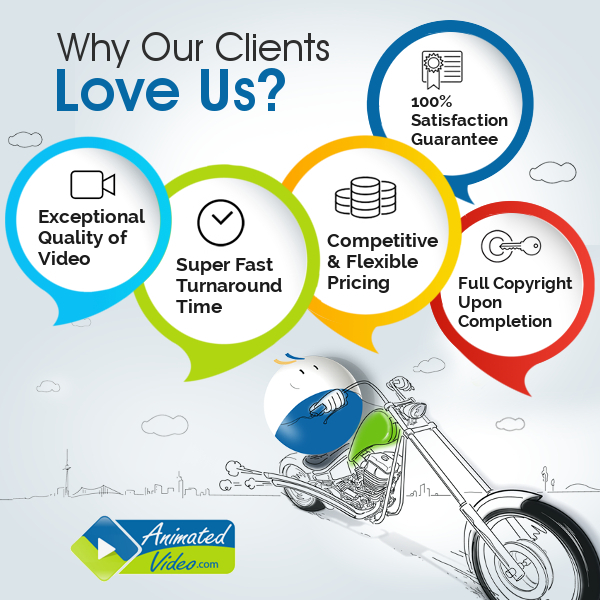 And also let us know if we could help you in your video requirements with engaging and tailor-made video animations. Until then, don’t skip a beat!